G.N. 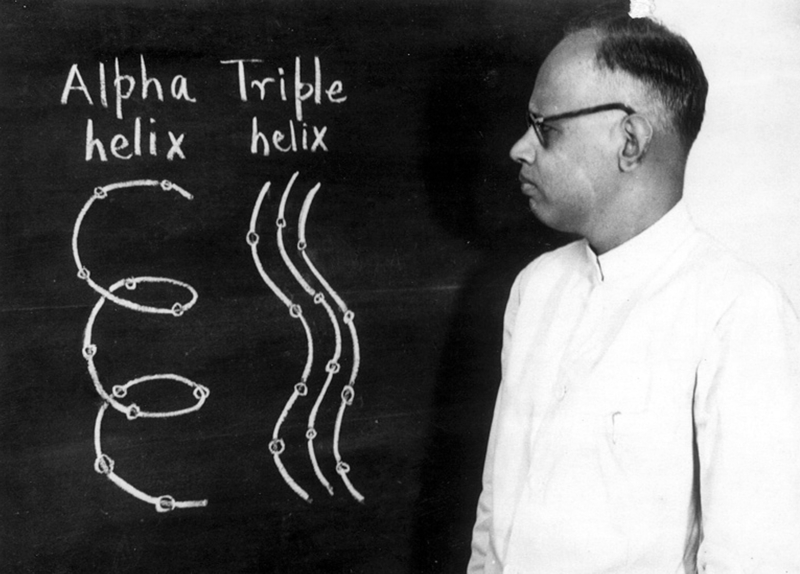 Ramachandran delivering a seminar in the 1960s. In 1999 it was announced that the fifth Ewald Prize had been awarded to Professor G.N. Ramachandran for his outstanding contributions to the field of crystallography: in the area of anomalous scattering and its use in the solution of the phase problem, in the analysis of the structure of fibres, collagen in particular, and, foremost, for his fundamental works on the macromolecular conformation and the validation of macromolecular structures by means of the 'Ramachandran plot', which even today remains the most useful validation tool. The presentation of the Ewald Prize was made during the Glasgow Congress Opening Ceremony in August 1999. For a list of papers by Professor Ramachandran appearing in IUCr journals click here.